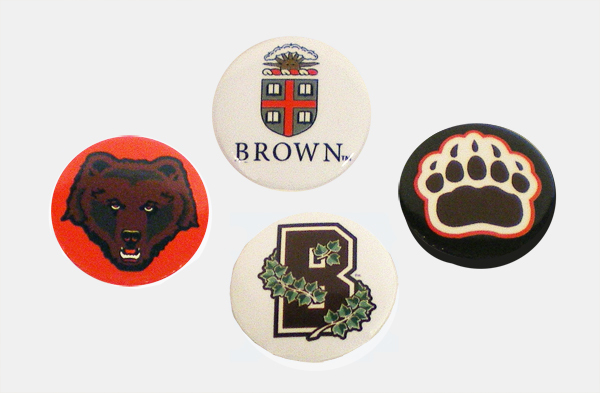 Set of 4 button pins; 1 each of Bear mascot on red background, Seal and 'BROWN' in white background, Outlined brown 'B' intertwined with green ivy on white background, and Brown Paw with white and red outline on black background. If only ordering this item, you have the option of 1st Class Mail for $3.00.--Put 'Mail for $3.00' in Order Comments. Bigtime Game Buttons now double as premium quality magnets. These buttons are printed at high resolution for a great look. Print is fade resistant and button materials are high quality. 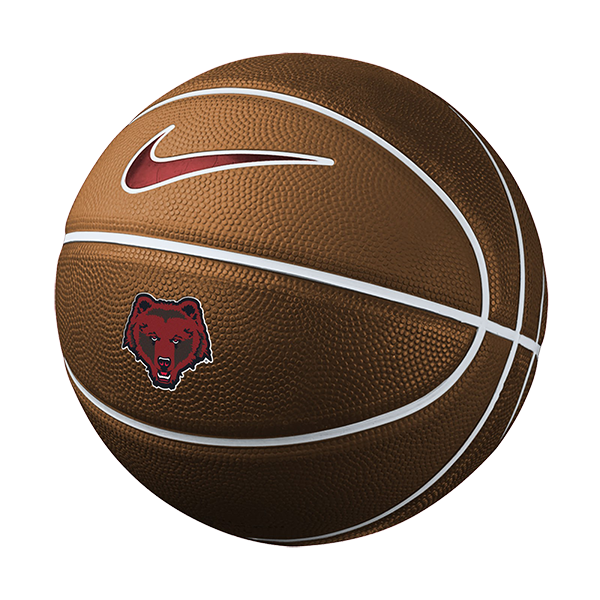 --Bear Mascot has 'BROWN' in brown with white and black outlines above Bear mascot outlined in white on brown background. --Gates w/Seal has a cardinal, black, and white Seal above 'BROWN' in black with white outline on background photo of the Van Wickle Gates. --Seal has cardinal, brown, and white Seal on white background. Please select option for Buttons - Magnetic Buttons - $1.99 each. 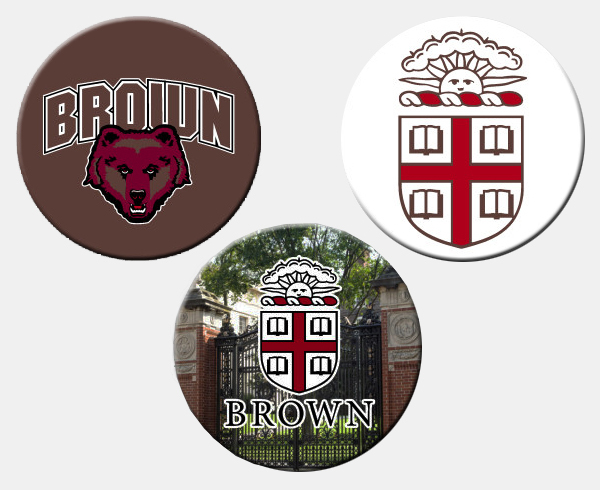 Pack of 3 buttons: Seal on white, 'BROWN' on brown, and brown Paw on white. 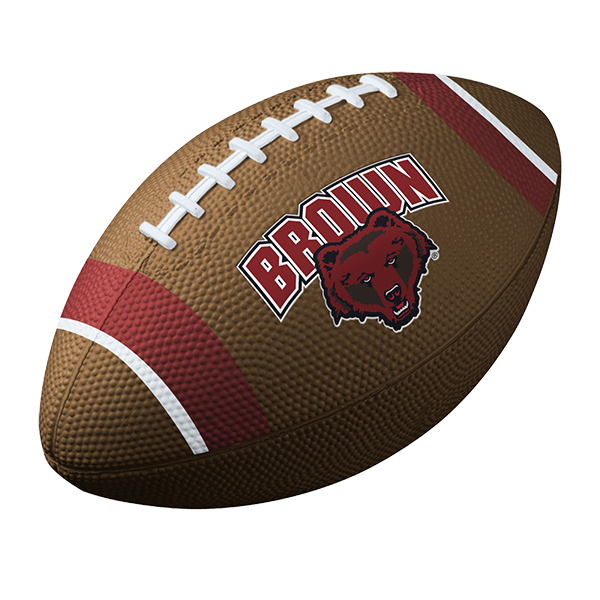 Brown and white foam football has 'BROWN' imprinted in brown with black outline above brown, red, and black Bear mascot. Size: apx. 5 1/2" at widest point. Golf balls with seal imprint, set of 3. Made by Nike. 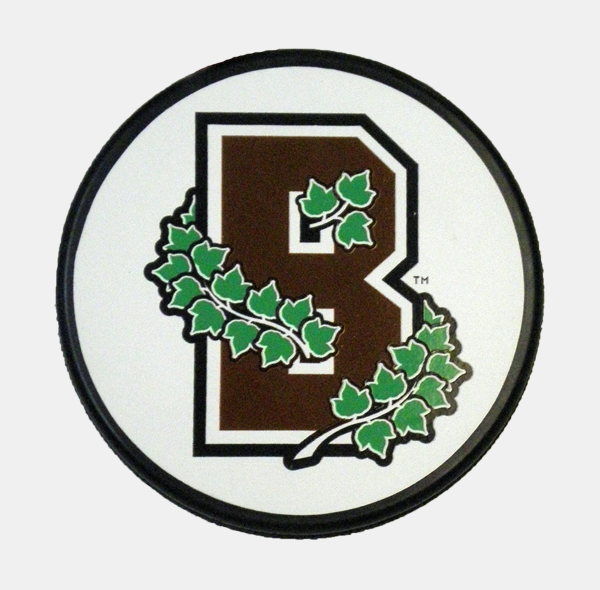 Regulation size official hockey puck with brown "B" with white and black outline and green ivy intertwined around 'B' imprinted on front. Made in Slovakia. 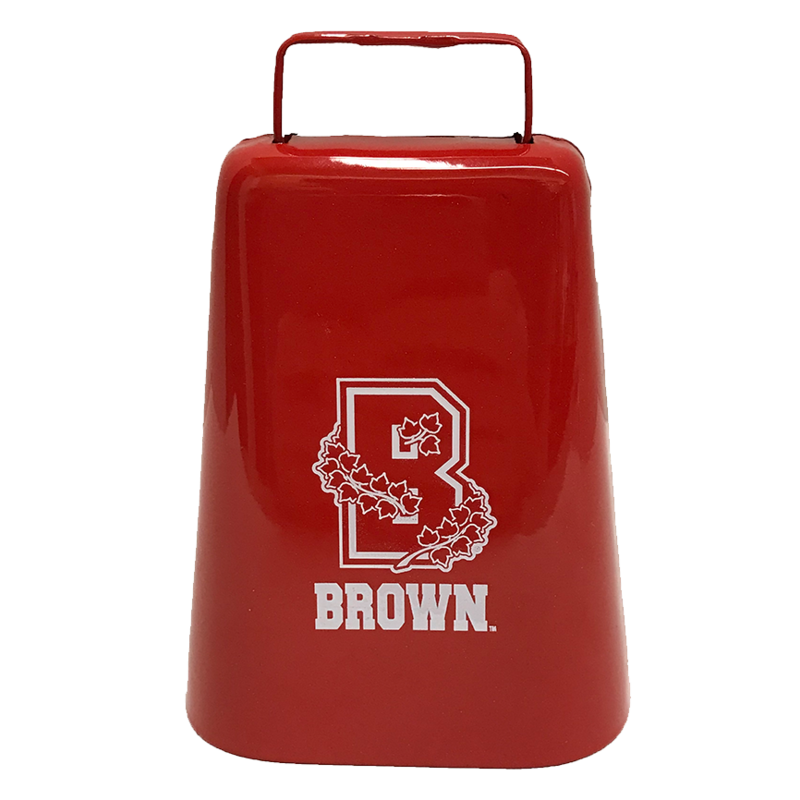 Red cow bell with Ivy B and Brown printed in white. 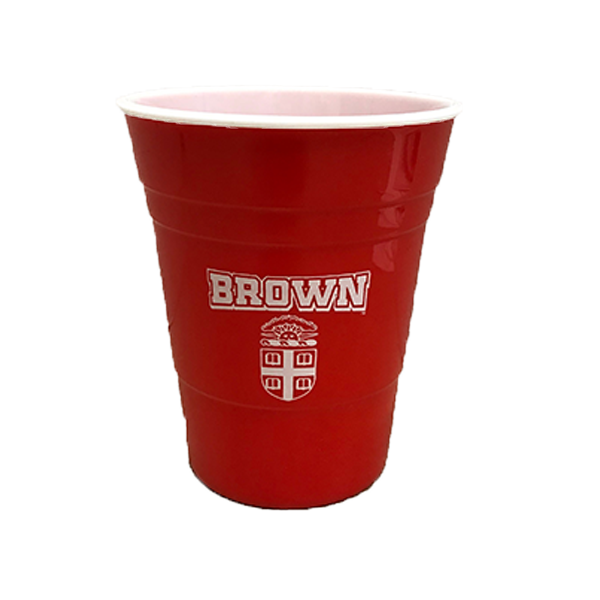 Red plastic cup with 'BROWN' and seal imprinted in white on sides. Standard deck of playing cards. 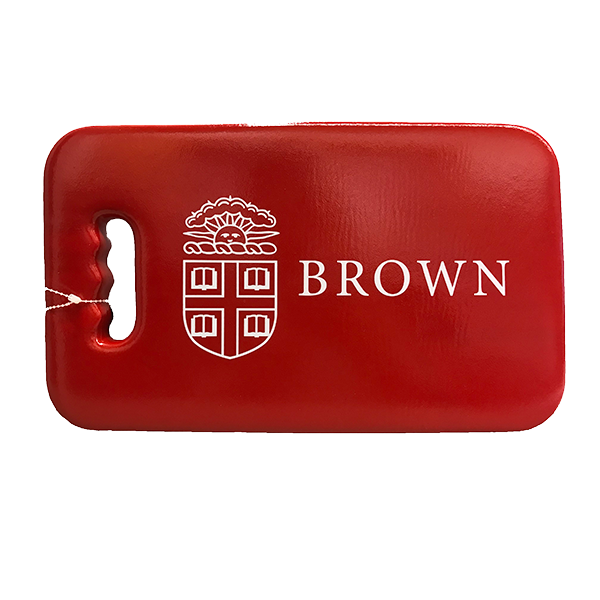 Red backs with Brown University medallion in white. 16 oz. 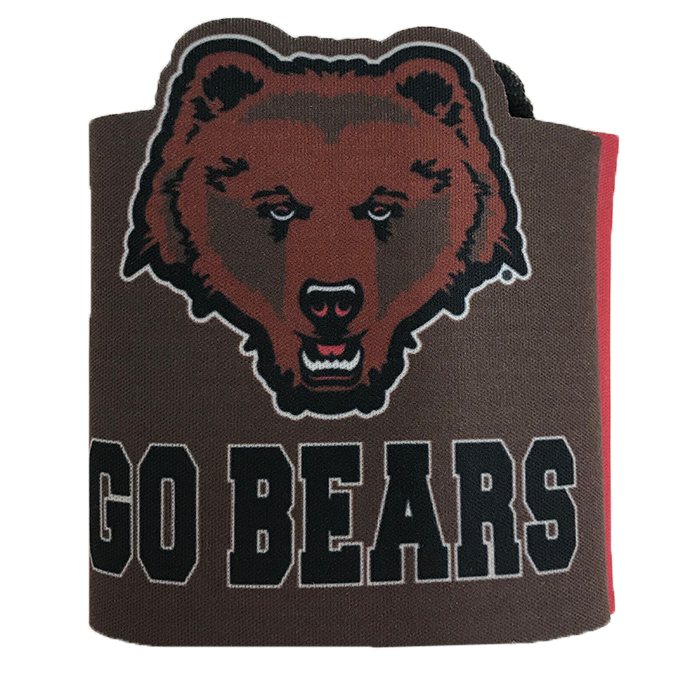 plastic cup with 'BROWN' and Bear imprinted on both sides. Thermos brand can insulator. Vacuum insulated, stainless steel double wall. Features Brown Crest and 'Brown' printed in cardinal on side. Thermos branded coffee cup holder. Vacuum insulated, stainless steel double wall. Holds 16oz or 20oz coffee cups. 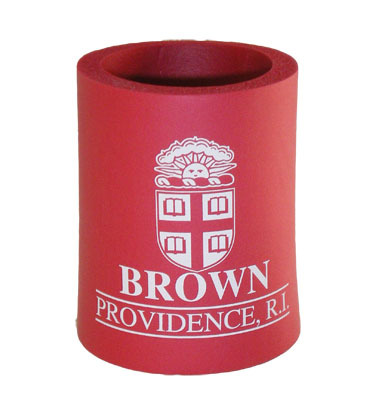 Brown Crest and 'Brown' printed in cardinal on side.